Available in 96.0 kHz / 24-bit AIFF + FLAC high resolution audio formats. One of the greatest achievements in musical composition history, the Well-Tempered Clavier of Johann Sebastian Bach is a collection of two sets of preludes and fugues in all 24 major and minor keys. It seem both books, composed two decades apart, were written primarily for educative personal and private use in the home – probably to be played on the intimate clavichord. One of the most famous works written for the keyboard, The Well-Tempered Clavier is simply enjoyable music of the highest craftsmanship. 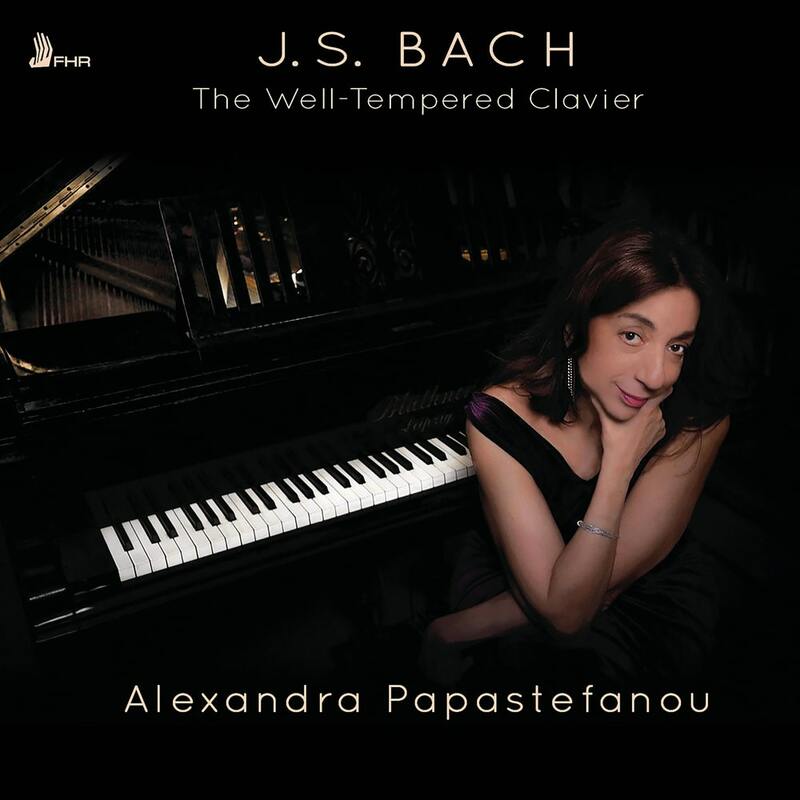 Alexandra Papstefanou graduated from Athens Conservatoire, where she studied piano under Aliki Vatikioti. She followed her studies with Olga Zhukova at the Moscow Tchaikovsky Conservatory, with Peter Solymos, at the Franz Liszt Academy of Music in Budapest and, on a scholarship from the Alexander Onassis Foundation, at the University of Indiana in Bloomington, USA, with the highly influential teacher György Sebok. She has also taken lessons from Alfred Brendel. Papastefanou was a finalist at the Clara Haskil Competition in Switzerland and received the Liebstoeckl and Fazioli Prizes at the International Geneva Competition, as well as the Spyros Motsenigos Prize from the Academy of Athens. She has performed all of Bach’s keyboard works and, in a series of recitals, has presented his complete Well-Tempered Clavier, Goldberg Variations, The Art of Fugue, and The Musical Offering as well as his keyboard concertos.